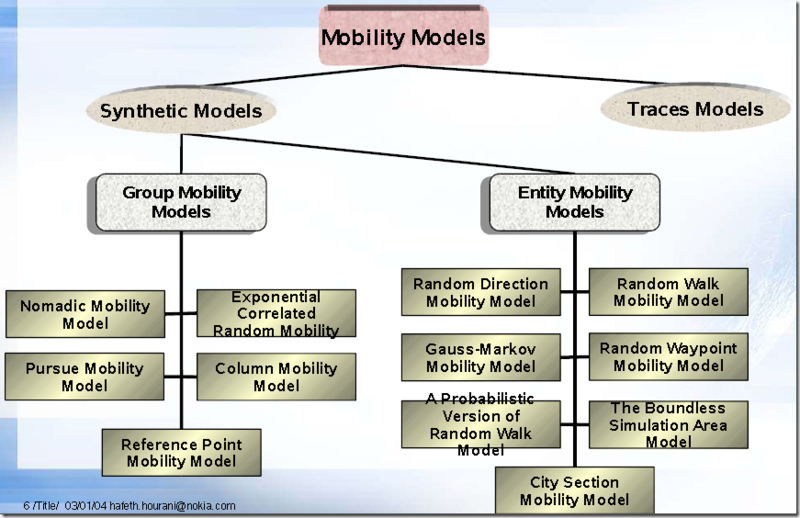 Take notes after reading several academic papers related to mobility models. The following paper presents a number of mobility models used in the simulations of ad hoc networks. It’s worth mentioning that the traces of almost all mobility models can be easily generated by the tool BonnMotion. Traces models: those mobility patterns are observed in the real life systems.A lot of real traces can be found in CRAWDAD. Group mobility models: the movements of mobile nodes are (partially)dependent on each other.Multiple mobile nodes (a group, cooperative characteristics) move together. Here is a diagram to depict its relationships. In general, the following factors should be taken into account. Random-based mobile nodes move randomly and freely without restrictions. To be more specific, the destination, speed and direction are all chosen randomly and independently of other nodes. 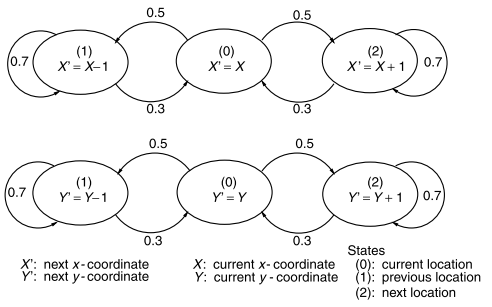 The random walk model and the random direction model are variants of the random waypoint model. 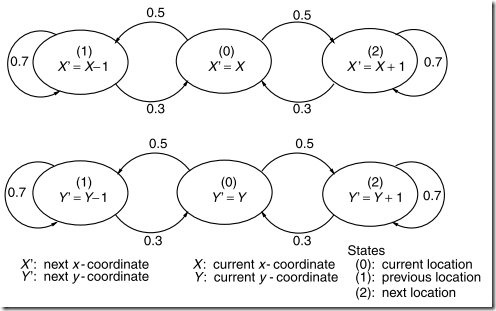 The random walk mobility model is a memoryless mobility pattern. 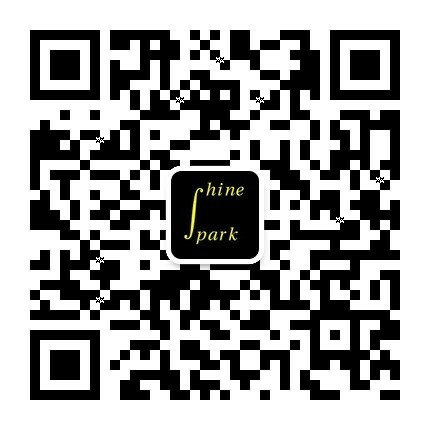 The current speed and direction of mobile nodes is independent of its past speed and direction. a scenario with fast mobile nodes and long pause times actually produces a more stable network than a scenario with slower, mobile nodes and shorter pause times. The random direction was created to overcome density waves in the average number of neighbors happened in the random waypoint and random walk mobility model. Once the simulation boundary is reached, the node pauses for a specified time, after that, chooses another angular direction from [0, π] and continues the process. The Gauss–Markov model was designed to adapt to different levels of randomness via one tuning parameter. 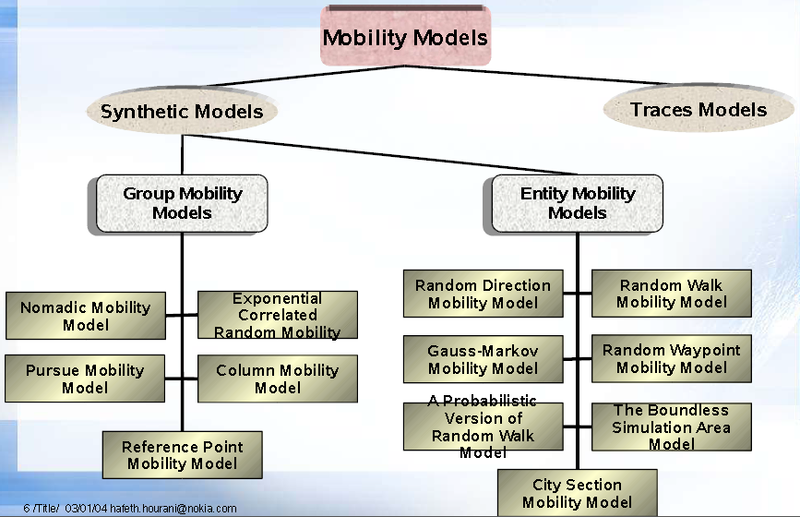 The city section mobility model provides realistic movements for a section of a city since it severely restricts the traveling behavior of mobile nodes. CAMP, Tracy, BOLENG, Jeff, et DAVIES, Vanessa. A survey of mobility models for ad hoc network research. Wireless communications and mobile computing, 2002, vol. 2, no 5, p. 483-502. HONG, Xiaoyan, GERLA, Mario, PEI, Guangyu, et al. A group mobility model for ad hoc wireless networks. In : Proceedings of the 2nd ACM international workshop on Modeling, analysis and simulation of wireless and mobile systems. ACM, 1999. p. 53-60.